File photo of Tsai Ing-wen. In the elections of governors and major civil servants for 22 cities and counties of the island — which is widely deemed as a mid-term examination of the Tsai administration since it took power in 2016, as well as a barometer of the island's election in 2020 — the DPP won the governor's seats in six cities and counties, while the Nationalist Party, the largest opposition party, secured the rest. Both of Tsai's two predecessors, DPP's Chen Shuibian and the Nationalist Party's Ma Ying-jeou, lost the local elections in their second term as the island's leader. The question is how the Tsai administration lost the people's support so fast that it had for almost six years. The people are disappointed, as the administration has not demonstrated its due ability to pull Taiwan's economy out of a state of quasi-stagnation. The island's economic growth has been hovering around 1 to 2 percent in the past two years, markedly lower than the world average of 3.7 percent. Instead, some of its abortive reforms of public policies have ignored the interests of many groups, who were reluctant to vote for the DPP's candidates in the local elections this time. Moreover, despite Beijing's cooperative stance, Tsai's wheeler-dealer denial of the 1992 Consensus has forced the cross-Straits ties into a deadlock. 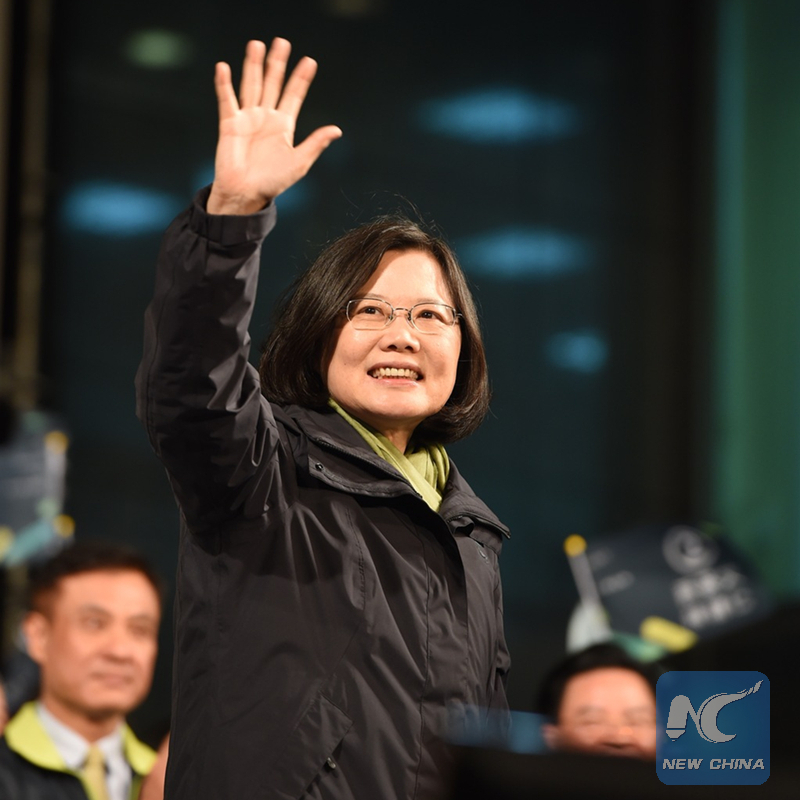 The Tsai administration's pro-independence secessionism has not only soured its crucial relations with the Chinese mainland, but also made it unpopular on either side. The administration bagger-thy-neighbor practices have only stewed Taiwan in its own juice. In the past two years, the number of tourists from the Chinese mainland, the largest source of tourism revenue for Taiwan, has slumped by 40 percent. That said, a stalemate tie means the dividends that Taiwan can secure from across the Straits are quite limited. Taiwan's economy accounted for 40 percent of the mainland 20 years ago, and it is about only 4 percent now. Taiwan economy's reliance on the mainland, as a market, an industrial partner, an investment destination and a source of tourism revenue has become greater than before. That is a reality that no matter who leads the island cannot afford to ignore. Taking the initiative to quit her job as chair of the DPP, Tsai, who had exhausted her means to beg for United States' protection and endorsement, must have also realized it is not only her economic policies, but also her separatism that has lost the Taiwan people's hearts, and the US' agenda-setting ability on the island's politics has markedly degraded. Either the Taiwan people or the White House thinks more of their own respective interests, which in the first place hinges on peaceful and stable cross-Straits relations. But the Tsai administration, which has gone in the opposite direction, turning itself to be a betrayal of Taiwan's interests and a troublemaker to its allegedly most important ally, has drifted farther away from the practical needs of the Taiwan people, and the historical trends of recognizing the "one China" consensus. If the results of the local elections still cannot awaken the Tsai administration from its dream, it will be a matter of time for the DPP to lose its power.